When you are in a head-on-collision, you are often placed in a tight spot even superheros would have trouble getting out of. In a lot of cases, you may not see it coming in time to protect yourself or you may be on a stretch of highway with no shoulder and nowhere to go to get out of danger. The oncoming car may only careen into your lane right in front of you seconds before the impact and there is no time to do anything. The aftermath usually is a disaster for all, as possibilities include death, coma, extended physical therapy, and extremely serious injuries that require constant (24-7-365) ICU care and monitoring. Few people luck out and end up with no injuries or relatively small ones. In almost all cases of these types of collisions, the cars involved are totaled, piling even more stress onto everyone involved in the crash. Why is This Type of Accident Deemed the Most Dangerous? A head-on collision happens when two vehicles collide with each other front bumper to front bumper. When the two cars collide, there is suddenly a lot more momentum behind the collision than when they were traveling alone and it causes extra harm to the occupants of the car because of its multiplying effect on miles per hour. If each car is traveling at 50 mph when they collide, the combined force of energy on both car’s occupants will equal 100 mph, double their original speeds, and quite devastating for the human body to experience. This is why head-on-collisions are the ones that cause the most fatalities and serious injuries. To What Extent Can My Car Help to Protect Me in a Head-on Collision? Current federal regulations for all automobiles require that a car be designed to withstand head-on collisions at 30 to 35 mph at a minimum. Manufacturers are also required to perform several test crashes before the model is put into production to be sold to the public. Unfortunately, most head-on-collisions happen at much higher speeds. People should also note that even a slow accident between two cars going 25mph will cause an impact equivalent to crashing into a brick wall while going 50mph. So your car’s safety equipment and body design can only protect you and your passengers up to a certain extent. When choosing a car to buy, make sure the model has a good record of protecting people in collisions. Some manufacturers routinely exceed the minimum impact standards for the cars they manufacture. They also typically use denser and higher quality materials to make the body extra strong. These types of cars are a recommended option to look into when purchasing an automobile. 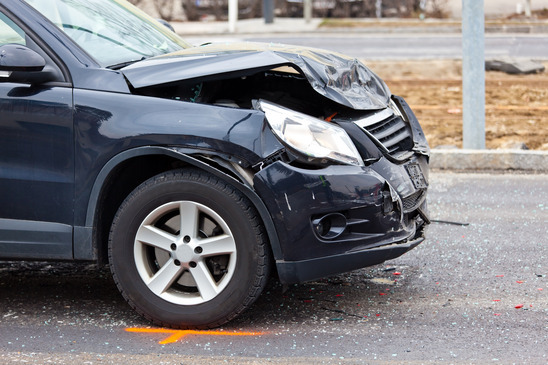 If you or a loved one has been seriously injured or killed, there is no time to waste to protect your legal rights and to avoid being taken advantage of by automobile insurance companies. Contact the Wolfson Law Firm today for assistance in putting together the broken pieces left in the aftermath of a serious automobile accident as soon as possible!